Apple often says its control of both the operating system and hardware (the "whole widget") gives it a series of advantages you just don’t get on other platforms. This usually translates into good news for consumers, but there so many ways it benefits professional and enterprise users, too. Recently, I noted that the iPhone 8 becomes an even better smartphone once iOS 12 ships. I’ve also pointed out that HomePods become better systems every time Apple ships a software patch. Now, Apple has proved my point once again by swiftly identifying and repairing a system problem that has generated acres of negative coverage for its newly launched MacBook Pros. Apple’s new Macs had attracted a huge amount of criticism (I felt far more than deserved on scant evidence) for throttling performance when engaged in some high-end tasks. This was bad PR for Apple, which is engaged in a multi-year, multi-pronged journey to prove its commitment to the pro markets, with teams engaged in finessing its solutions at every level of its value chain. Not only does Apple have its own internal pro user groups working to identify workflow, UI and performance enhancements it can make to its platforms, but it has hardware, software and chip design teams furiously focused on delivering best-in-class solutions for pro users. That’s just how it is. These teams swung into action on reports of the MacBook Pro throttling debacle. Customers can now expect performance from these new Macs to match Apple’s claims of 70 percent faster on a 15” MacBook Pro with Touch Bar and twice as fast on the 13-inch model. That Apple moved so swiftly to address this problem should help high-end customers feel confident in the company. It shows not only that Apple listens to its customers, but it also illustrates how swiftly it can respond to problems once they are identified, which has to be good news to any enterprise user seeking out a strong and stable computing platform. This shouldn’t be news to any veteran Mac user. Most of us know that where the company can fix its systems with a software patch, it will. 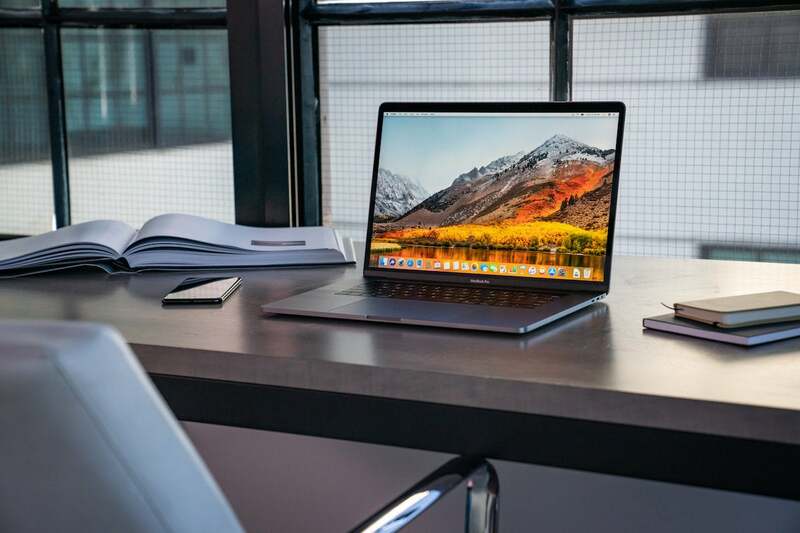 We’re used to regular software patches across the one-year life span of Apple’s Mac operating systems that introduce security, stability, and feature enhancements. We’re also used to using systems that keep on chugging along for years, demanding relatively little technical support. IBM has even put a number on the difference Apple’s ecosystem makes for enterprise users, saying that Macs work out to be $543 cheaper to run than equivalent PCs over three years. That cost advantage absolutely reflects Apple’s ethic around its machines: an ethic that sees the company responding swiftly to platform problems, operating system bugs, and security threats. An ethic that means its platforms remain resolutely more secure against cyber threat than anything else you can get. For enterprise users, it means Apple’s Macs are a good purchase in TCO, longevity, and platform commitment terms — and that message is getting through. The big picture here is that Apple’s swift response to the recent furor around the way its highest-end MacBook Pro would throttle performance when doing some pro tasks is a real reflection of the advantages its platforms bring to any user, including enterprise users. Highly secure, tightly integrated, regularly updated, and cheaper to run — that commitment translates into the highest customer satisfaction figures in the industry, and it helps keep Apple’s systems pervasive across the enterprise. If only the company would break a few more enterprise Mac sales numbers out.